These are lovely elegant earrings made as a match to the pendant that is also on the site. 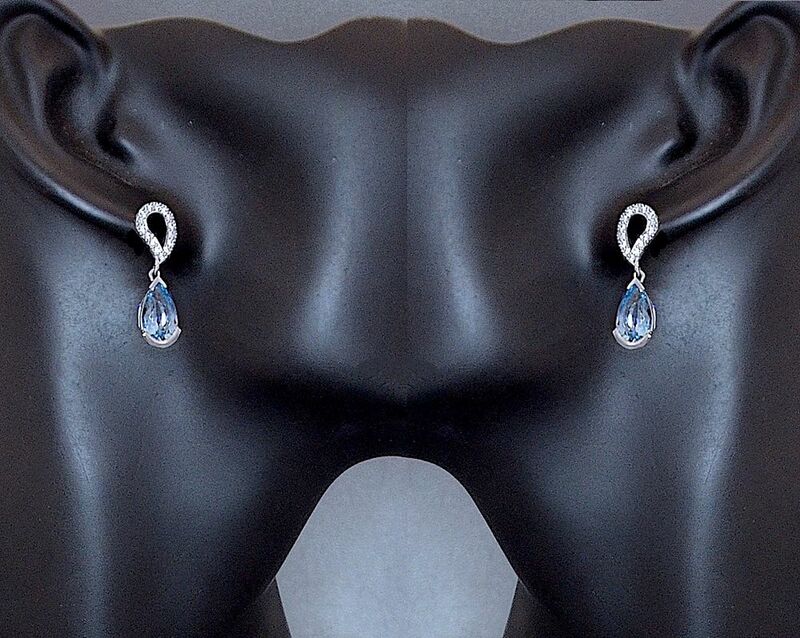 The top of each earring consists of a diamond set leaf shaped open work platinum section suspended from which is a fine pear shaped aquamarine set in a platinum gallery collet. The earrings are hallmarked by the London Assay Office for platinum and 2017 and bear our sponsor's mark "A&SP" for Alan & Sue Poultney. 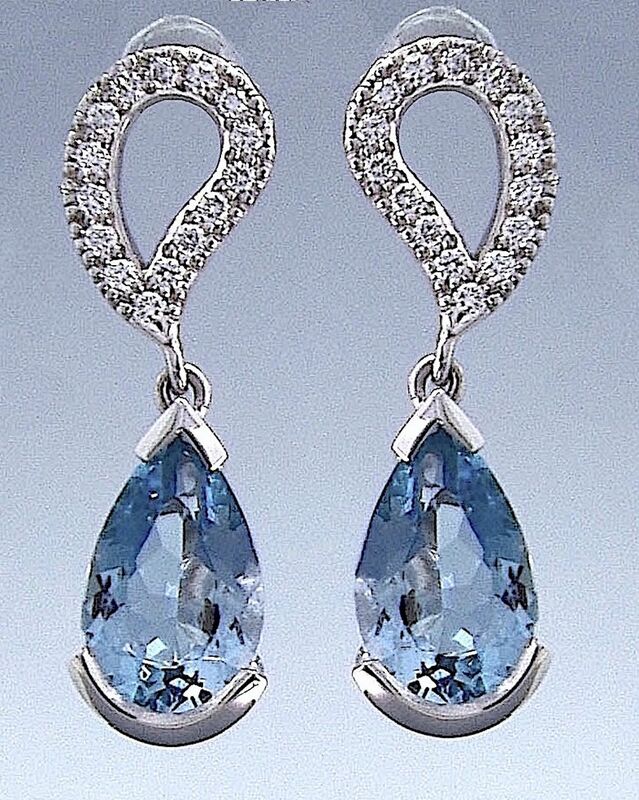 These earrings would look lovely worn on their own and absolutely superb with the matching pendant.